Esther Lynn Kimbrew, age 72, of Madisonville, entered into her eternal rest at 4:06 p.m. Monday December 24, 2018 at Hillside Center in Madisonville. Born October 23, 1946 in Madisonville, she was the daughter of the late James Wesley Kimbrew and Verlina Mae Roach Kimbrew. 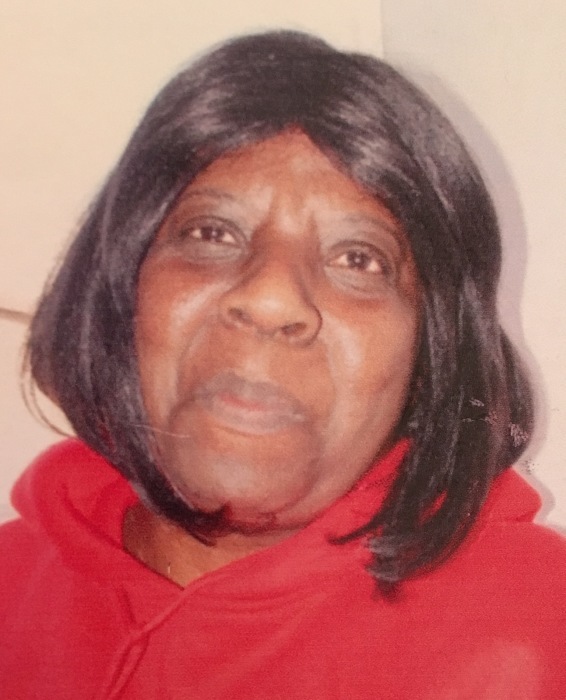 She was a member of the Oak Grove Missionary Baptist Church in Madisonville and had worked at St. Vincent Depaul Store in Madisonville as a volunteer for many years. She was awarded a certificate for her volunteer services at St. Vincent Depaul Store. She was known for giving clothes to the children throughout her neighborhood. She loved knitting, coloring, working puzzles, and collecting dolls. She leaves behind to cherish loving memories, one son, James (Cherri) Kimbrew of Madisonville; two brothers, Joe Jasper Burris and Hester Kimbrew both of Madisonville; two sisters, Mary Ann Williams and Mattie Irene Kimbrew both of Madisonville; one grandson, Carl Kimbrew; and a host of nieces, nephews, cousins, and friends. A memorial celebration of her life will be held at 1:00 p.m. Saturday January 5, 2019 at Elliott Mortuary in Madisonville. The Elder Frederick Leonard will officiate. Burial will be at a later date in Elliott Memorial Gardens in Madisonville. Visitation will be from 12 Noon until service time Saturday January 5, 2019 at the funeral home. Elliott Mortuary in Madisonville is in charge of the arrangements. Share condolences at www.elliottmortuarycares.com.